What’s 50 years old and bakes cakes with a light bulb? Besides the lady with all the cats at the end of your street (a.k.a. me in 20 years)? 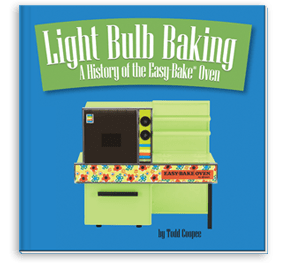 Todd Coopee has penned a book celebrating the 50th anniversary of the Easy-Bake Oven and there are a lot of surprises in the book. The Easy-Bake Oven launched in November 1963, selling 500,000 units in the first year and a total of more than 30 million sold to date. More than 150 million refill mixes have been sold—that’s a lot of little cakes! The Easy-Bake Oven, from Kenner and now Hasbro, has gone through many changes, and Coopee goes through all of these in his book. The range of models available, as well as the accessories (like the 1964 Easy-Pop Corn Popper, which was one of the first attempts to appeal to boys) are astounding. I think most people picture the 1993, 1996, 2004, or 2008 model when they think Easy-Bake. 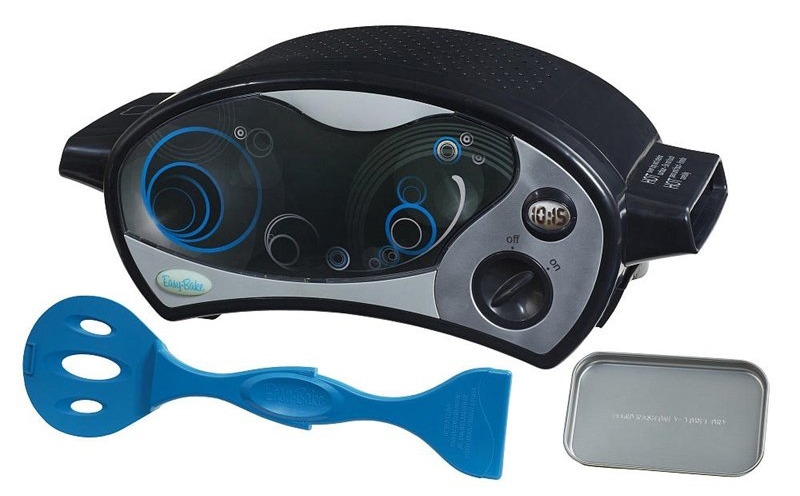 As of 2011, the Easy-Bake Oven looks like a space-age alarm clock. The model I’m most familiar with is the 1978 one I grew up with. Kenner introduced the Betty Crocker Mini-Wave Oven to celebrate their 15th anniversary in 1978. This marked a new design and was also the first model to bake with a single light bulb instead of the usual two. The book itself feels like a textbook and the gorgeous layout and design showcases the baked goods, all the different models, and vintage advertisements. Even if you’re not hip to the Easy-Bake scene, it’s worth checking out simply for the history and interviews Coopee conducted into Kenner. It’s also interesting to see how in 2007, the U.S. Government’s new efficiency standards for light bulbs affected light bulb baking. Hasbro changed over to use a heating element (think toaster oven) instead. Shown above is the old Kenner mascot, Gooney Bird. The puppet was made by none other than Jim Henson, who liked Gooney Bird so much that he refurbished him as Little Bird, Big Bird’s sidekick in early seasons of Seasame Street. But enough of my yammering. 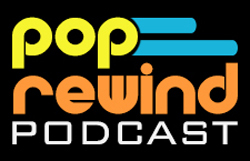 Todd Coopee sat down with Pop Rewind to answer a few of our Easy-Bake Oven questions. 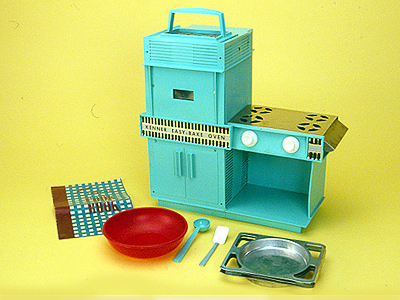 Pop Rewind: While so many children in North America grew up with the Easy-Bake Oven, I doubt many gave much thought to its history, so I’m wondering why you decided to write this? Todd Coopee: My interest was piqued after my first visit to The National Toy Hall of Fame in Rochester. At the time of my visit, the oven had just been inducted into the Hall of Fame and they featured an exhibit devoted to the toy. I wasn’t convinced there was enough material for a book but the more I looked into the Easy-Bake Oven, the more interesting it became. I was surprised that there wasn’t more information widely available so I felt compelled to tell the story of this toy. PR: The Easy-Bake Oven was largely marketed toward girls, and even with quite a few attempts to make the toy appeal to boys it still resonated more with girls. That being said, what is the appeal of the Easy-Bake Oven for you? TC: Quite simply, I think it goes back to it being a significant part of many people’s childhood. Unlike some other activity-based toys, the Easy-Bake Oven produces something real, something you could proudly present, share and eat. PR: Were you a big Easy-Bake fan growing up? TC: Yes, definitely. My parents owned a restaurant and bakery in Massachusetts for about 25 years so I was surrounded by the cooking, serving and presentation of food most of my childhood. Of course, we also had an Easy-Bake Oven. One of my sisters received it as a gift and we used it quite frequently, especially on rainy days. PR: In doing your research for this book, did you bake and eat a lot of Easy-Bake treats? TC: No, not really. I didn’t have much time to try some of the recipes in the book. I do often bake an Easy-Bake cake or two as a birthday gift for people that I know. So, that’s about all the “easy-baking” that I’ve been able to fit in at the moment. PR: Are you a strict baking-mix-only guy, or do you veer off-course and try your own creations? TC: Traditionally, I was always a baking-mix-only guy, but after doing research on the Easy-Bake Baker of the Year contests and seeing the winning recipes, I’ve expanded my horizons! PR: What is your favorite Easy-Bake recipe? TC: Right now, it is the Toffee Trifle Cake recipe created by Lindsey Thompson – the winner of the 1998 Easy-Bake Baker of the Year contest. PR: How often do you Easy-Bake? TC: Not as often as I like! These days my use of the toy oven is usually based on a special occasion – typically a friend’s birthday. PR: Which is your favorite Easy-Bake model? TC: The 1969 Betty-Crocker “Premier” model. I find it to be one of the most visually interesting Easy-Bake Ovens released to date. And – of course – it is still powered by an incandescent light bulb! PR: What do you think of the new design? I favor the 1978 model, but that’s the one I grew up with. The newer ones look “off” to me. TC: I am also a bit of an Easy-Bake purist, but I think Hasbro has done a nice job with the new model to make it visually interesting. Since they released it in 2011, there have been four different color variations, which does provide some options for people to choose from. PR: Do you think that Easy-Bake made you and/or others a better cook/baker? In terms of skill as well as creativity? TC: Absolutely. The Easy-Bake Oven inspires creativity and allows children to manage their own kitchen – reading recipes, exercising patience as the oven heats up, and then the joy of producing something that can be served and eaten. PR: Will you be working on histories of other popular toys of our youth? Perhaps something else that Kenner produced? TC: Yes, definitely. I’m not sure it will be a Kenner product, but I do have a few ideas that I’m researching. There was such a wealth of creativity in the 1950s and 1960s—it’s hard to resist celebrating that. PR: What’s new for you? TC: The book officially launched on November 4 and I was fortunate enough to get some local news coverage – which was fun. There was also an official launch party for the book at Art Is In Bakery in Ottawa – which was filled with Easy-Bake fans. I’m finalizing details for another book signing in Chicago and Angel Food Bakery, so I’m looking forward to that. PR: What are you working on now or what do you have planned for the future? TC: I’m working on an ebook version of Light Bulb Baking, which will be released next month. You can purchase Todd’s book from Amazon.com. Special thanks to Todd Coopee for taking the time to answer our questions! You can learn more about the Easy-Bake Oven over at Light Bulb Baking. 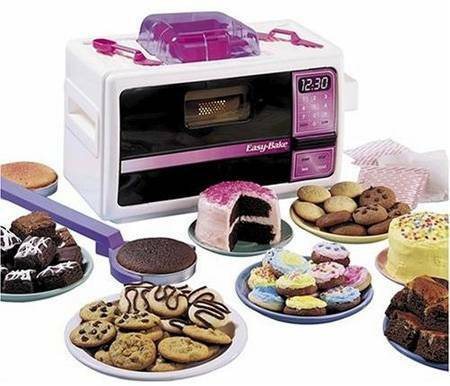 What’s your favorite Easy-Bake Oven memory? Did you have your own recipes? Leave us a comment below! I remember playing with my sisters when she got one for her birthday. I burnt a bunch of stuff until my sister showed me how to use it. It was a lot of fun. We recently got one for my daughter and I was surprised I could remember how to use it. My daughter makes us cupcakes all the time. Great post!